On Friday’s St. Louis on the Air, we heard from Rep. Mike Bost, the Republican incumbent candidate running for Illinois’ 12th congressional district. Bost is finishing his first two-year term representing the district, which includes parts of the metro east and stretches south to include Carbondale and Cairo. Bost served for many years in the Illinois House of Representatives. He also served in the U.S. Marine Corps and was a firefighter. In recent years, the 12th district has flipped from Democratic to Republican representation. And, in the previous two elections Green Party candidate Paula Bradshaw has garnered nearly six percent of the vote. Bradshaw is contesting the seat again and we spoke with her recently. The Democratic candidate is attorney C.J. Baricevic, who was on the program earlier this week. File photo: U.S. Rep. Mike Bost of Illinois' 12th congressional district talks to 'St. Louis on the Air' host Don Marsh in 2015. Bost said that his life as a congressman has been much busier than his terms in the Illinois legislature. "But, it is still the same thing," Bost said. "You know your area, you go out and work for your area. You go out and fight to improve employment, discover other issues out there, working with your communities and keeping in constant contact with them. We have tele-town hall meetings, town hall meetings, every chamber and rotary we can meet with and school boards through every county in the district. There are 11 and 1/3 counties. That's a big district." Bost discussed his support Republican of presidential candidate Donald Trump, though he admitted his frustration with Trump's comments about sexual assault. "But I know when I have a person who has said boldly she will close down what coal jobs are left in my district when we're fighting for everyone, or when I've watched her deal with Benghazi, or what's coming out now with the emails ... as a Marine, I had to handle top-secret information and I was told pretty clearly that if I was able to compromise that, in war-time I'd be shot, in peace time, I would be in prison for life." On local issues, Bost heavily emphasized his role advocating for the coal industry in southern Illinois by working to repeal regulations the Obama administration has put into place over the last eight years. He also mentioned he was endorsed by the United Mine Workers union. "That's a big deal for a Republican," Bost said. "But my whole family worked in the coal mines." On the subject of equal pay for women, Bost reacted to Baricevic's comments that he does not support equal pay. "I've got a wife, two daughters, and seven granddaughters and you better believe I want them to have the opportunity for any job that's out there and you better believe I want them paid at the level that anyone else would get. That's the most ridiculous statement and I've never, ever made any other statement besides what is right there. I believe in equal pay and that's as clear as I can say it." Illinois State Representative Mike Bost joined St. Louis on the Air on Friday to discuss his bid for reelection to Illinois 12th congressional district. 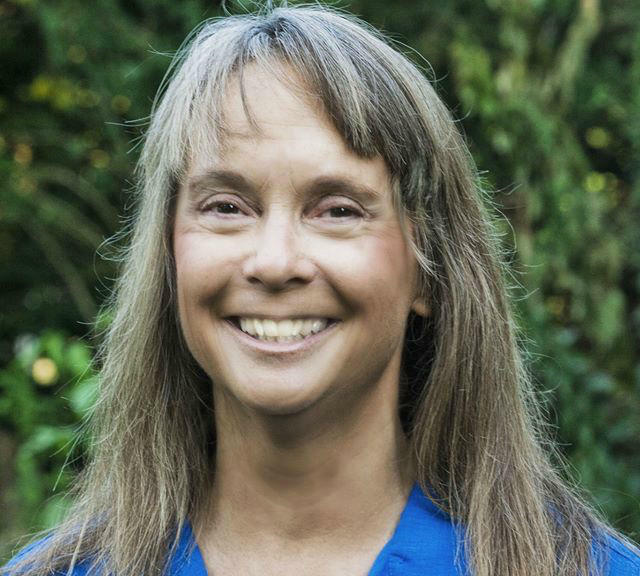 On Friday’s St. Louis on the Air, we heard from our first Green Party candidate of the election: Paula Bradshaw, a nurse, who is running for Illinois’ 12th congressional district. Bradshaw ran for the same seat in 2014, but was defeated by Mike Bost [R]. She also ran in 2012. In both elections, she garnered nearly six percent of the vote. On Tuesday’s St. Louis on the Air, we heard from C.J. Baricevic, the Democratic candidate running for Illinois’ 12th congressional district. Baricevic is a St. Clair County native and comes from a family of public servants. He is a partner in the law firm of Chatham and Baricevic, which specializes in labor law. He has also serves part-time as a public defender.